Those who bring a non-perishable food item to the 8 p.m. Dec. 2 performance of Commedia Beauregard's "A Klingon Christmas Carol" will receive discounted admission to the show. Commedia Beauregard's annual “Pay With Your Can” performance gives audience members discounted admission in exchange for non-perishable food items to be donated to the Greater Chicago Food Depository. Bring one food item to receive a $10 off discount, or receive free admission by bringing three or more food items. The discounted tickets are first come first serve at the door. "A Klingon Christmas Carol" is the translation of Charles Dickens’ classic holiday tale into the language and culture of the famous warrior aliens of "Star Trek," the Klingons. 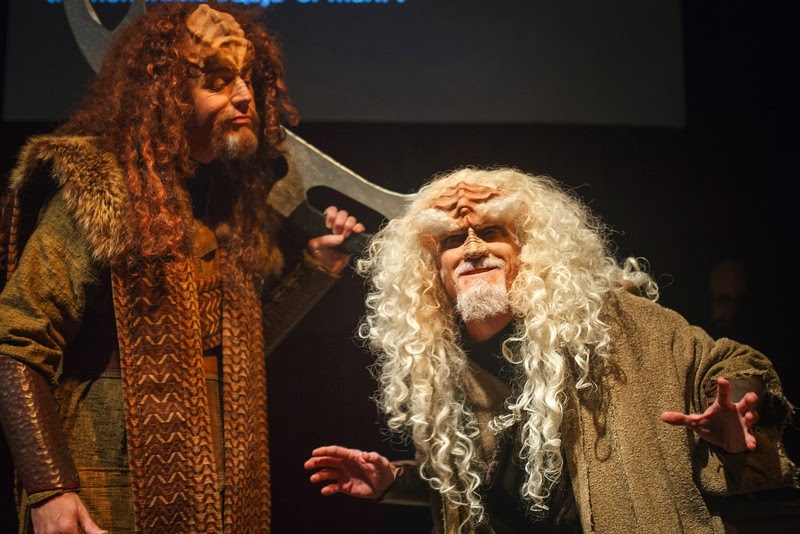 Now in its fourth year in Chicago, "A Klingon Christmas Carol" is the first full-length play ever to be performed entirely in the actual Klingon language. English subtitles are projected above the stage. This year's production features several changes. 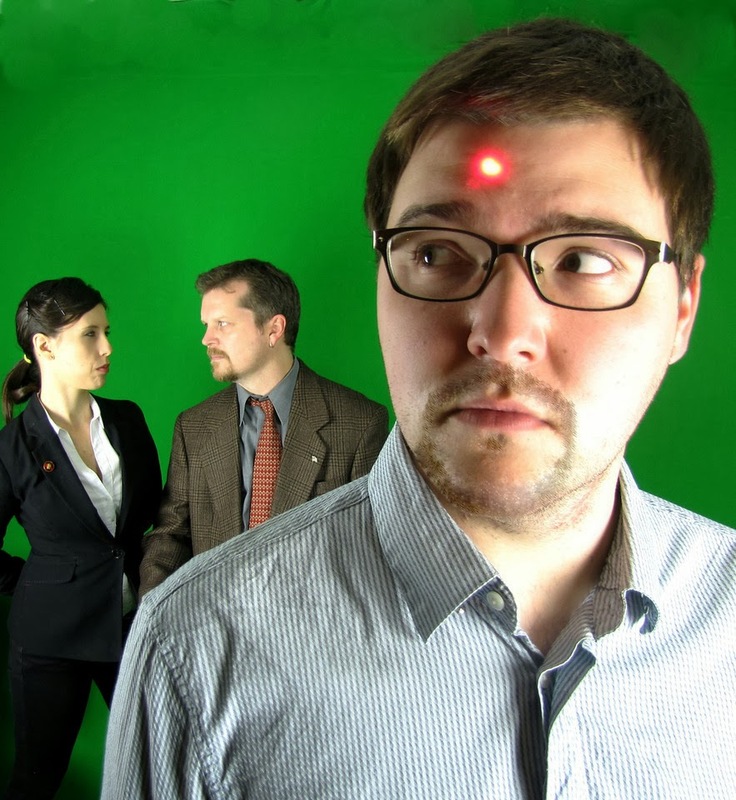 Kidder-Mostrom, the creator of the show, has returned to the helm of the production. In an effort to make things different than ever before, though, very few of the cast from the past few years have come back with him. No actor was allowed to return to the cast in a role they’d had before. That means that this year there’s a new SQuja’ (Scrooge). There are also new costumes by kClare Kemock, who designed for Commedia Beauregard’s Bard Fiction in 2012. She is once again doing a mash-up style of costuming that combines the world of alien warriors with the frock coats of Victorian England. "A Klingon Christmas Carol" runs through Dec. 29. More information is available by going to www.CBTheatre.org. 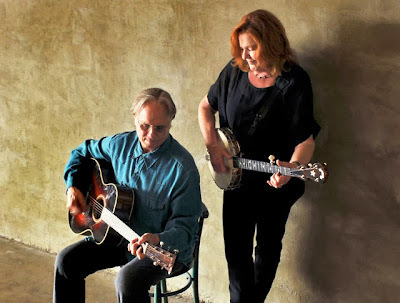 Robin and Linda Williams have been playing Americana music long before it became fashionable. The husband-and-wife duo, www.robinandlinda.com, in October released the album "Back 40" in celebration of 40 years of recording together. The well-respected songwriters will perform Nov. 23 at Old Town School of Folk Music's The Myron R. Szold Music & Dance Hall, 4545 N. Lincoln Ave., Chicago. The show starts at 8 p.m. and tickets are $22 for the general public, available by going to www.oldtownschool.org. I had the chance to the both of them about their illustrious career. Q - Great talking to you. Of course, you are touring in support of your latest album, "Back 40." Was it hard choosing what songs would go on this album? Are there any songs that you think are greatly helped by being given a fresh treatment? Robin Williams - Well, a lot of thought went into choosing the songs. The main thing for us was to find songs that deserved another shot at a life on a CD and stage. And they all had to hang together as a unit. It took a lot of time. Linda Williams - And we stayed away from anything too recent. There’s nothing less than 20 years old. They had been stowed away for quite a while. It was like learning new songs so there was a freshness to the arrangements. Q - This album celebrates your 40 years of performing together. Did you ever think when you started performing together that it would last 40 years? What makes it work? Robin Williams - It’s still hard for me to believe it. For me, having a life in music was a dream but it was such an intense thing, starting out trying to make a living, that I doubt that I gave it too much thought. It wasn’t like a goal for me. I suppose that, by the time we’d been at it twenty years, the idea of forty years didn’t seem preposterous. What makes it work is hard work, getting past all the invisible doors that bar the path of a life in music and all the insecurity of flying by the seat of your pants underneath the radar of the official music business. Linda Williams - In so many ways it was a simple dream; to have a life together and a life in music. But it’s not necessarily a simple life. It takes a lot of commitment and work to keep it all going. Q - "Back 40" is produced by Jim Rooney. What did he bring to the table? Did the album turn out as you envisioned? Robin Williams - He brought a practiced ear, a calm demeanor, a sense of humor and a professional ability to work quickly. There was no wasted time. Linda Williams - One day in the studio Jim told me if he were an artist he would be a water colorist, not a painter. That speaks to his desire to capture the essence of things quickly. Q - You first appeared on "A Prairie Home Companion" in 1975. Did you think the show provided a good fit for your music? Does the show continue to provide a new audience for your music? Robin Williams - Oh, yeah! Now the show has reached iconic stature with movie stars and pop stars longing to be on. But when it started out it was mostly roots oriented performers, classical and jazz musicians. That music seemed to fit right in with the Lake Wobegon atmosphere of the early years, music that was organic, home made and nowhere near the pop charts. We saw the show before we were ever on and thought we’d fit right in. As far as a new audience, we constantly hear from folks at our shows who tell us they heard us first on APHC. Linda Williams - Actually we hear people say their parents always listened to the show and they grew up with it. However they find their way to us we are happy to have them listening. Q - You have been playing a type of music that now might be called Americana and is very much in fashion. At the time that you started, did you imagine that you would be breaking new musical ground? What do you think about the renewed interest in roots music these days and the fact that the banjo has become a mainstream instrument? Robin Williams - We’re pleased that there seems to be an expanding audience for this music. When we started, we didn’t think of breaking new ground. We were just trying to play a personal style, taking advantage of our strengths and hopefully showing our influences through our music. For a good many years we seemed to confuse folks. We weren’t country, we weren’t bluegrass, we weren’t singer/songwriters and we weren’t folk. We were all of them and there weren’t too many other acts in that niche then. Now that we’re all in this Americana phase we’re fitting in just fine. As far as the banjo goes, we think everything sounds better on the banjo. Evidently a lot of other folks agree. Linda Williams - There is a lot to be said from learning all you can from the masters, their songs, their singing style, their playing style. You can’t go wrong starting with the masters. Q - Your songs have been covered by the likes of Emmylou Harris and Mary Chapin Carpenter. Has that been humbling? Are there any cover versions of your songs that particularly caught your ears? Robin Williams - Humbling? Of course. We write from a personal point of view and are thusly always amazed and filled with gratitude when another artist finds something in our songs that makes him/her want to record it. One of my favorite covers of one of our songs in Tim and Mollie O’Brien’s version of “Don’t Let Me Come Home A Stranger.” It’s similar to ours but they really added some creativity to their arrangement. Linda Williams - Emmylou’s version of “Rolling and Rambling.” You can find a version live on the David Letterman show with The Nash Ramblers. It doesn’t get any better than that for me. Q - You are working on your 24th album. What should people expect from the album? Do you have any dream projects or collaborations? Robin Williams - “Back 40” has just been released and is our second CD of mostly original tunes in two years. We’re just coming up for air from all that intensity. It’ll take us a few months to start focusing in on what we want to do next. Linda Williams - We’re starting to start to think about writing again. It comes along in waves after some time has passed and we’ve done some thinking and reading. Milwaukee musician Micah Olsan has been gaining acclaim for his innovative guitar playing. He is the leader of his namesake band, Micah, which has released the new album, "Highs, Lows, Peaks, Rivers, Valleys." Micah will perform Nov. 17 at the Tonic Room, 2447 N. Halstad Ave., Chicago. Also on the bill are Jim and the Povolos and Jay Stolar. The show starts at 8:30 p.m. and tickets are $6, available at www.ticketfly.com. 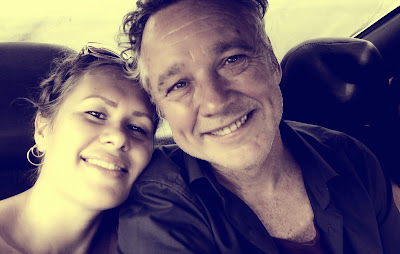 I had the chance to talk to Olsan, www.micaholsan.com, about the new album. Q - In sitting down to make the new album, what were your goals and do you think you accomplished them? Were you trying to build on what you created with your previous album? The main goal as we were recording was to capture the sound that the three of us had been working on for the previous year. I was hoping to build on what I've learned from my last two records and really focus on making a solid, flowing album. I have a lot of diverse musical influences, so trying to make them all work together as a cohesive album was a goal. It was a great experience! We wanted as “live” a sound as we could get and really focus on the interaction of the band members. The idea really worked and we left with some 200 minutes of takes to pick through. After that we were able to focus on vocal harmonies and make meaningful overdubs (bowed bass, keys, and new guitar sounds). From a musical standpoint, I feel like we did exactly what we set out to do. From a business standpoint, we'll have to see what happens after the release, but so far it's helped us land some big help. We've been working with a publicist and are just wrapping up a college radio campaign with Tinderbox. We are also working with Tinderbox on TV and movie licensing. Q. 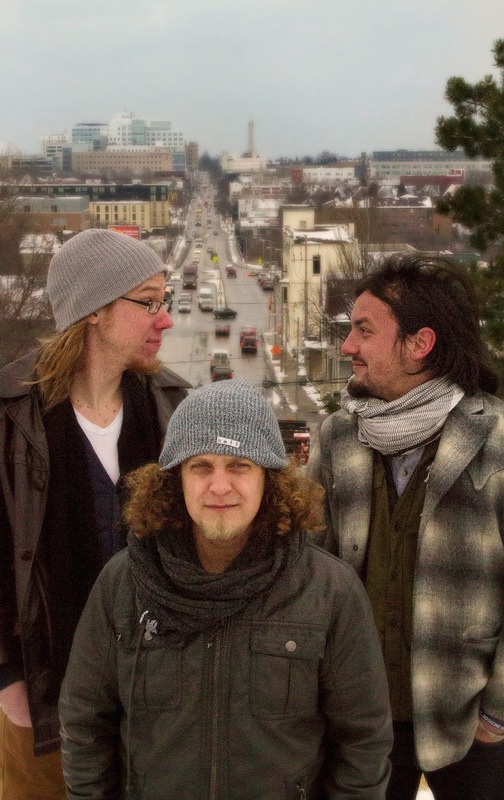 In 2010, you were nominated for best local guitarist in the Shepherd Express reader poll. What is your musical approach and what do you think separates you from other guitarists? A. I'm a big fan of writing an interesting sounding (to me at least) chord progression and finding the melodies within it. I'll often record a chord progression with my loop station and then try coming up with melodies on the guitar and then put words to those melodies. I find that it helps me discover less obvious melodies and avoid singing the same way every time. I've always been a fan of the way David Byrne and Paul Simon play the guitar. It's not that their styles are so similar, but more what they are playing is [suited to] the song. It's about being part of something bigger than themselves. It's not flashy and excessive, but always just right. The guitar is there to serve the song. That's what I shoot for at least. Q - Who are your biggest musical influences and how would you say they figure into your music? What made you want to become a musician in the first place? As far as well-known artists that have influenced me, I'd say Ben Harper, Elliot Smith, Paul Simon, David Byrne, Radiohead, Cake, Michael Hedges, The Beatles, Buddy Holly, and Andrew Bird. However, I've had some great teachers like Bob Westfall and Steve Peplin who have left a huge mark on the way I play and even think about music. They have had more of an impact towards me being a musician than many of the artists that inspired me to look into further musical study. I was living in Madison studying guitar with jazz/bluegrass virtuoso Bob Westfall when I really decided that this was for me. While many of my friends were studying at UWM, I was practicing guitar and songwriting in my free time and delivering pizza at night. Q - How do you think your music fits into the Milwaukee music scene? How does the Milwaukee music scene compare to the Chicago music scene? Are you looking for the band to expand its fan base? I'm not quite sure how our music fits into the Milwaukee scene. It's no secret that Milwaukee loves its cover bands, but it seems that more and more original bands are starting to get noticed. We've recently been asked to be on IndieMKE 2, which is a compilation album put out by Milwaukee radio station WUWM featuring bigger names like Phox and Trapper Schoepp and the Shades. We've also been nominated for band of the year (along with 30 other bands) in the Radio Milwaukee 2013 music awards. I'm pretty new to the Chicago scene, but the responses that I've received from Chicago-based radio stations, blogs, and management companies have been very positive so far. On Sunday, Nov 17, we are playing at the Tonic Room with Jay Stolar. I am hopeful that Chicago will be a good market for us and help expand our fan base. Q - The music business continues to change. How have you used technology and social media to get your music out there? We try to use technology and social media to get our music out there the same as every other band. I personally use Facebook, Twitter, and ReverbNation the most. My main concern is that there is so much white noise out there. Everyone and their cousin has a band these days, and it can get exhausting trying to keep up. Recently, I've been focusing on getting my website, www.micaholsan.com, to be as user-friendly and informative as possible, but still look really cool. Your own website is the best chance you have to stand apart from everyone else. Short-term goals are to land some licensing deals, find a booking agency to work with, and to get the new album in as many people's ears as possible. Our long-term goal is to make a decent living off of the music we make. Superstardom isn't something we hope for, but we'd like to tour the country and/or world playing music to people that want to hear it. The Jayhawks founder Mark Olson has a different musical partner these days - his wife, musician Ingunn Ringvold. Olson and Ringvold will perform as a duo Nov. 14 at Schubas, 3159 N. Southport, Chicago. David Dondero also is on the bill. The show starts at 8 p.m., and tickets are $15, available at www.schubas.com. Olson, www.markolsonmusic.com, will perform material from a forthcoming album, as well as songs from his illustrious career. I had the chance to talk to him about the upcoming show. Q - Great to talk to you. How has the tour been going? What do you like about performing in a duo as opposed to being in a full band? The duo is a type of invention that floats not on water but solid air! When you play in a musical duo, everything you do can be answered and supported by the other person. Ingunn can really groove and float and our tempos and dynamics are perfect together. Q - I watched a video for the song "The blue always say," a duet between the two of you. Your voices blend well together. We have been singing together for about seven years and we get better and better. It takes a lot of time to do seamless harmony and also just the basics of unison, tempo, call and response, holding patterns, twirls, upticks etc..
Harmony singing is a deal lots of people do and I enjoy singing with Ingunn. Q - You also produced your wife's second album. When did you discover you were good musical partners? When we met we seven years ago we did a gig together within the first month. It went really well and we had friends there and at first it was just guitar and djembe and sometimes a violin player but we have expanded our instruments, songs and sound and decided the duo is the best for creative work and tour expansion. Q - Ingunn plays a number of instruments, including the Qanun. Has she taught you how to play the instrument? How has she influenced your approach to making music? We were making demos in Los Angeles for the album "Many Colored Kite" and an Armenian public television channel came on the air. Here is the time we saw women playing the Qanun. We then had immigration/ visa problems in the U.S. that lasted 29 months. Therefore we had to be out of the U.S. and eventually Europe if we wanted to be together! It was not a pleasant experience! And the reasons for this are still hidden behind the walls of the U.S. consulate in Norway that would not return her Norwegian passport willingly! My stepfather is a decorated U.S. war hero POW from WWII who wrote letters and got involved. He led the charge. After 29 months and a six-week study course in Armenia with the Paros Foundation, we returned to the U.S.
Ingunn can play the Qanon now. I can play the drum now. We write meaningful songs together. Q - How has being in such places as South Africa and Armenia inspired you in writing new songs? What should people expect from the new album? I write songs about struggles, beauty, spiritual quests, hope, laughter and family. They are alive in the songs! I hope you will find something meaningful in them. Q - On this tour, you will be drawing from your entire musical career, including The Jayhawks. Are there any favorite songs that you still love performing on stage? What makes a song special for you? The most wonderful new/old...happy/sad musical discovery is that the first Jayhawk album sounds incredible with just Djembes! We are performing "People in This Place" and "King of Kings" with just Djembes a la drum circle in the desert and people go insane!! It's the best! Q - The music world has changed a lot since you first started in the business. Do you think it is harder or easier to be a musician these days? What advice would you give to a new musician? A good friend as your manager is a start. Also develop new outlooks on lyrics. This is the forgotten element but the most lasting. For the past 10 years, Chicago band The Safes has been serving up its sweetly infectious brand of power pop. The Safes, comprised of brothers Frankie, Patrick and Michael O'Malley, www.thesafes.com, will celebrate its 10th annual Black Wednesday show at the Empty Bottle, 1035 N. Western Ave., Chicago, on Nov. 27 with the release of its new EP, "Thanks To You." The Differents, The Phenoms and Jet W. Lee are also on the bill. The show starts at 9 p.m., and tickets are $10, available at www.ticketweb.com. I had the chance to talk to Frankie O'Malley about the new EP. Q - Great talking to you again. Of course, the band has a new EP, "Thanks To You." In sitting down to make the record, what were your goals? Is there a meaning behind the EP's name? Not really. These three songs were recorded separately and just fall together as released organically, I guess you’d say. The title come out of the lyrics from track one, “Live Life Like You Wanna Live,” and we just wanted to use it as the title to say thank you to anyone that came out to a show, bought a T-shirt, danced at a show, etc… ya know just a sign of gratitude to anyone who is down with The SAFES! Q - There are some great shots of Chicago in the video for the song "Live Like Like You Wanna Live." 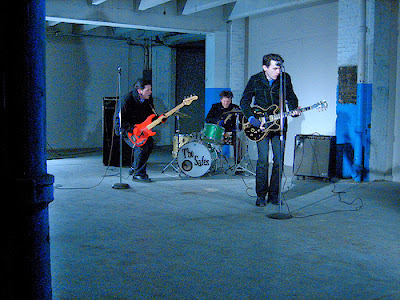 The fun displayed in the video matches the song's upbeat sound. What were your goals for the video? Thank you! Mission accomplished! Fun was the whole goal! We’re glad you like the music video! It was very fun to make and people have been responding positively toward it. Q - The song "Change The Game" also features Morgan Nusbaum of St. Louis band Bruiser Queen. What do you think she brings to the song and how did you hook up with the band? Yeah Morgan’s awesome. We’ve been friends with Bruiser Queen from before they were even a band, when Jason Potter was in Left Arm and Morgan was in the 75’s! Those are two more great St Louis bands. We wanted a strong female vocal on the Ahhs… part of “Change The Game” and as fate would have it, Bruiser Queen were in town right when we were recording that track, and we emailed Morgan an mp3 to learn the part and she knocked it out in about half hour. Q - Of course, you also have a new song, "All Around The World," on the "Roadtrip Nation" soundtrack. It seems like the band is especially prolific these days. Is the band always working on new music? Do you think the series has continued to bring more exposure to the band's music? That’s true another great opportunity landed in our laps with that one! Thank you "Roadtrip Nation!" The SAFES are historically pretty prolific. I mean I live to write songs and sing! And yes, we are ALWAYS working on new music! Yes, "Roadtrip Nation" has been awesome to and for The SAFES! Our music is reaching a lot of people that it simply would not be reaching without "Roadtrip Nation!" They work very hard to promote the bands whose music they license and do a 30-city tour promoting not only the show but the bands they feature on the show. It’s a pretty sweet deal! Q - How do you think The Safes' music has evolved since forming in 2003 and where do you see the band going musically from here? Well if you go back to our first album, 2003’s "Family Jewels," you’ll hear little hints of directions we were planning on going. And I’m happy to say we have evolved, realizing music that in 2003 was only a thought. Growing is cool, improved always trumps new! We’re blessed to still be here better than ever! Q - There were 11 kids in your family. Did that make it hard to be able to stand out or find your way? What are the pros and cons of being in a band with your siblings? No being part of our big family is simply awesome! Playing music with your brothers is a gift most brothers never get to enjoy! Of course there is all the bull that comes with being in a band, but playing music with family is like celebrating your birthday to the max on stage playing rock 'n' roll! Makes you forget the fights! Q - The Chicago music scene has certainly changed since the band formed. What are your thoughts on the Chicago music scene and how do you see The Safes fitting into it? That’s very true! The Chicago music scene is and has always been great! So many great bands, venues, wonderful outlets such as Total Scene willing to cover the local scene, I couldn’t sit and list all the great publications, blogs, radio shows etc… but I will give a shout out to The Razor and Die Show, from 4 to 6 p.m. Fridays on radio station WLUW. A lot of bands started up in 2003. I’m very happy The Safes will be celebrating our 10th annual "Night Before Thanksgiving" show at the Empty Bottle this year with our friends Jet W. Lee, The Phenoms and The Differents! The Safes are a welcome fixture in the Chicago Music scene. Q - What's next for the band? Figuring out how to dominate the Earth with 60s-styled pop music! Ha. 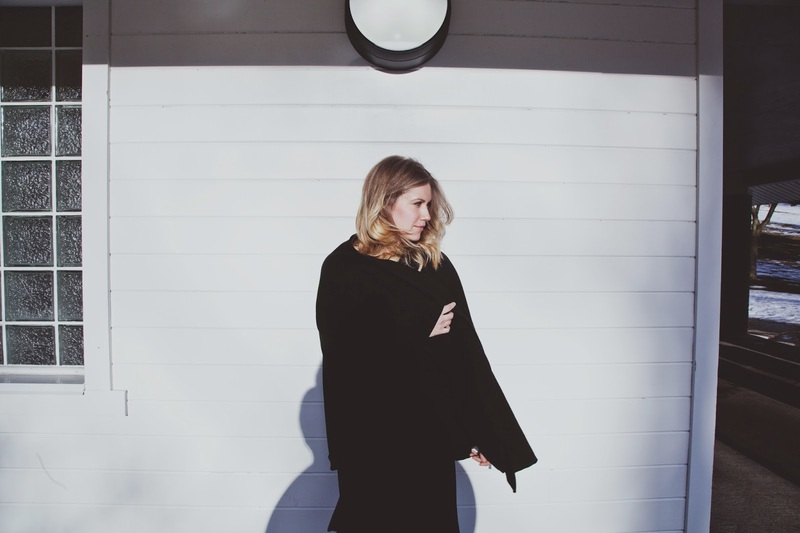 With her intoxicating voice, Canadian singer-songwriter Megan Bonnell takes listeners on an adventurous journey on her debut full-length album, "Hunt and Chase." 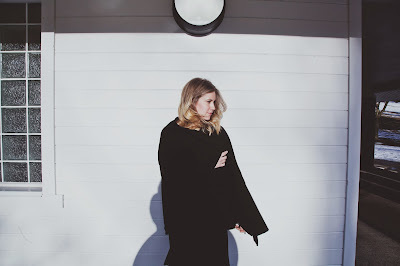 I had the chance to talk to Bonnell, meganbonnell.ca, who performed in Chicago on Nov. 4, about her new album. Q - Great to talk to you. Of course, your debut full-length album, "Hunt and Chase," was recently released. In sitting down to make the album, what were your goals? Did you want to build on your EP, "Maps"? I had spent the last two years leading up to the album, writing it. I had a bunch of songs that I knew really meant something to me and I felt ready to sit down to a create a full length album. During this time I was introduced to producers Chris Stringer and Joshua Van Tassel, who ended up producing my album. We sat down together and discussed the songs, the direction we wanted them to go. I feel as though the songs very much took their shape and color in post production. It's very stylized and atmospheric. There is a real mood around the album in its entirety. It's brooding, adventurous, unpredictable and heart felt. I think we really pushed ourselves musically and I feel really proud of that. Q - The video for the song "Hunt and Chase" was filmed in your hometown of Caledon, Ontario. Was it important to you to make the video there? What was your vision for the video and does the video live up to your vision? I think it just made sense. So much of the album is a sort of ode to Caledon. That place has defined me in such a huge way. I draw from it heavily, lyrically, so I think shooting the video there was a really natural thing to do. The song, "Hunt and Chase" really lent itself to the country landscape. It was loosely inspired by "Alice in Wonderland," so there is that playfulness as well as a bizarre kind of haunted element. The day we shot was super foggy and rainy and it really added to the overall feel. Q - How do you think you fit into the Canadian music scene? What other Canadian acts have inspired you? The Canadian music scene is very intimate. Everyone really doing something is very well connected. There is a real sense of community and comradery within it. There is so much good music coming out of Canada. It's a really innovative time here, musically I would say. Q - I understand you started teaching yourself piano when you were 4. Was it hard to learn? What drew you to the piano in the first place? I did. There was a big old piano is our basement and my sister took lessons. I was stubborn and refused to take lessons, but I wanted to be able to do what my sister did, so I would teach myself by ear the songs she played. At the time is was a real outlet for all the energy I had. I would play everything extremely fast and hit the keys way too hard. It was so fun for me. It wasn't until later on that I learned to be graceful when I play. Q - I also understand that you and your sister would listen to "I've Got Rhythm" on a record player owned by your grandparents and do the Charleston, and that your dad played The Beatles when you were growing up. How did those musical experiences shape your songwriting? Music was a huge part of our family. Some of the happiest moments in my life have been based around it. I think music is one of the few things that has the power to transport you right back to a moment in time when you listened to a certain song. It's incredibly powerful. You remember the feeling, the smell, your mood, the people. It's all so vivid and to think its all triggered by the coming together of sounds..it's so cool. Q - Are you looking to make more of a name for yourself in the United States? How would you say the U.S. music scene differs from the music scene in Canada? With this album of mine in particular, I have been coming into the States a lot to play. I don't think that the music scene in the U.S. differs all that much from Canada. There is a lot of great music coming out of all corners of both countries. I do think that a lot of Canadian bands don't perform in the States as much due to U.S. immigration restrictions on musicians entering the U.S. to play. It can be pretty tough. To some degree, we are somewhat forced to stay in our own little bubble up here. My main goal right now is to tour around the world promoting my new album "Hunt and Chase." I'm headed to Europe next week for my first European tour. I'm so excited! There is no greater joy to a musician than to play, and that's what I want to do...sing my songs. DeWayne Jessie might not be a household name, but his alias, Otis Day, certainly is. 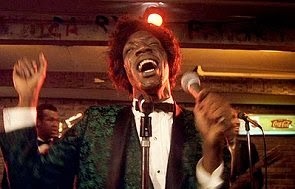 Jessie played the fictional character Otis Day in the comedy classic "Animal House." Jessie will perform as part of an "Animal House" class reunion from Nov. 15 through Nov. 17 at Hollywood Palms in Naperville and Hollywood Boulevard in Woodridge. More information is available by going to www.hollywoodpalmscinema.com and www.atriptothemovies.com. I had the chance to talk to Jessie, http://otisdayandtheknights.com, about his illustrious career. Q - You're going to be part of the "Animal House" class reunion. Why do you like being part of something like this? I get to see the people again, and we can reminisce about certain things, and see what our careers are going through at this moment. Plus it's a nice vacation. Q - Do you keep in touch with people from the movie? We try to, but everybody does their own thing. But when we meet up, it's almost like we haven't been apart. Q - Were you like a family on the set? There wasn't any animosity, or anybody trying to be bigger than anybody else on the set. Q - You must have some great pieces of memorabilia from the movie. Any items that you especially cherish? Well, I have the John Belushi doll that they gave us. And I have a beer mug that lights up and turns around. And I have a few other little things. I don't know where my script is, though. I move around a lot. I kind of just lost it, I guess. Q - It doesn't seem like a lot of comedies capture the audience like "Animal House" did. Were movies just made better back then? The timing was just right, you know what I'm saying. Look at "Bridesmaids" or look at "The Hangover." They were crazy. I guess it just comes with the times. Q - Do you have a favorite scene in "Animal House?" I love the band scene at the end, when the band walks into the wall. I love that. That's insane to me. And then I like John Belushi on the ladder, and he falls back after seeing the girls naked. Q - Your role in "Animal House" was your your breakout role. Were you nervous at all making the movie? If you don't get nervous a little bit, then it's not worth it. But once you get in there and start doing it, it becomes second nature. Q - You've been doing this for so long that Otis Day has kind of become your alter ego, I guess. Did you ever imagine that would happen? It took me by complete surprise. It just started building and building. It's just crazy. I love it, though. Q - Does it bother you at all that Otis Day has become bigger than DeWayne Jessie? No, no. Because Otis Day and DeWayne Jessie are the same person. I don't get all twisted like that. Q - In the movie, you were lip-syncing, but on stage, you have an actual band. I know that Robert Cray was part of the band in the movie. How did you put together your own band? Well. my brother was a musician, so I was involved in the industry growing up anyway. We got together - it was me, my niece and my nephew - we got together, and we formed a band. We got the rights from Universal, and we just did it from there. Q - I know your brother recorded under the name of Young Jessie and was in The Flairs and The Coasters. Do you think he influenced you musically? Yeah, he did. My house was full of music all the time. I was involved in music all of my life. Q - I understand that you almost turned down the Otis Day role. Yeah, I did. I was thinking, maybe I could let this one go. Then, before I walked out the door, a little voice in the back of my head said, "Take it." I didn't question that, and I took it. And then it just skyrocketed after that. Q - Did you get to work a lot with John Belushi? A little bit, because he was flying back and forth to do "Saturday Night Live." Q - What was it like working with him. Did he crack you up all the time? He was doing his John Belushi thing, but he was a hard worker. Q - The movie is considered a comedy classic. Why do you think people still want to see the movie and come to events like this? Because it was raw. It was just raw and it touched everybody. I don't care from what walk of life you are from, everybody can relate to school period, and then college. And then the characters in it, you also know these type of people. Q - The movie was pretty popular when it came out. Did you ever think they would do a sequel? If everybody was going to be in the sequel, I could see it working. But John is gone, so that would be really crazy. I think they should just live it alone. When you get perfection, just leave it alone. Q - During your show, what songs do you like doing the best? I like "Shama Lama Ding Dong," but I like "Shout" too. But we do a mixture of a lot of other stuff, too. We do "Satisfaction" and "Jumpin' Jack Flash" and "Susie Q." People enjoy it. Q - You've been in other movies like "Car Wash" and "Where the Buffalo Roam." What made you want to become an actor in the first place? I just knew that was what I wanted to do. And I also wanted to sing. I guess I got my foot in the door through acting to be able to sing. Q - What other projects are you working on? I'm working to develop a comedy. We had some stuff happen to us on the road that you would not believe. It's stuff that you could not make up. Q - Is it kind of ironic that you got into movies to sing, and now you have a music career? Drawn right from today's headlines, "The People's Republic of Edward Snowden" will be presented at 8 p.m. Nov. 14 at Prop Thtr, 3502-04 N. Elston Ave, Chicago, and at 7:30 p.m. Nov. 15 at The Berger Park Mansion, 6205 N. Sheridan Road, Chicago. Tickets and information are available at www.RepublicofSnowden.com. "The People's Republic of Edward Snowden" is written by Chicago activist and playwright W.C. Turck, the co-host of the popular Chicago public access show, "Revolution and Beer," www.revolutionandbeer.com. I had the chance to talk to Turck about the production. Q - How are rehearsals going for "The People's Republic of Edward Snowden?" Is it coming together the way you envisioned? Our rehearsals are an interesting and dynamic mix of politics and theater, that sweet spot at the junction of art and activism where I prefer to be. The play is coming together better than I envisioned, thanks to Celia Forrest and Erik Parsons, my directors. We knew from the start this would be a challenging effort because of the complexity of the issue, and the daily revelations that emerge from Snowden’s, in my opinion, brave and very patriotic actions. The directors and cast are incredibly dedicated and passionate about accuracy and keeping the play as up to the moment as possible. It’s a great team! Q - In sitting down to write the play, what were your goals? What would you like people to take away from the play? There is no difference between freedom and privacy. Think about it, they really are dependent upon one another. There is a line from the play, spoken eloquently by our lead, Nick Haugland, in which he says that we are innocent until proven guilty. That is a right, not a challenge, to any power to snoop into our lives in hopes of discovering something. More than that, what is emerging is the way government is now collecting and mapping social contacts. That may sound benign, but think about it. You know that old joke about we’re all just six degrees of separation from Kevin Bacon. I have never met Kevin Bacon. If Kevin Bacon goes rogue tomorrow, a lot of us could be in serious trouble! Q - What do you think about the latest revelation that the National Security Agency spied on 35 world leaders? Does that surprise you? How much spying do you think went on by previous administrations that we just didn't know about? Previous administrations absolutely did spy on foreign leaders and for US corporations long before the Snowden revelations. There were accusations a decade ago of U.S. intelligence collecting data to give U.S. companies an advantage. The difference is that in less than 20 years global digital technology and the abuse of it has evolved at a stunning pace, while our capacity to contain it as a society has not. The danger here is not in the damage the Snowden leaks may do to our relations with friendly nations and allies, but in forgetting that Snowden did not break that trust, he only revealed a spectacular wrongdoing. That he is accused of wrongdoing in that effort reminds me of a mafia guy who once told me in the days after September 11 that the mob has nothing over the U.S. government. Q - Your last play, "Occupy My Heart, A Revolutionary Christmas Carol," ended up garnering national attention. Did the attention it gained surprise you? This time around I have Celia Forrest and Erik Parsons. On stage stand out talents like Zach Johnson-Dunlop, Arne Saupe, Teresa Veremendi, Donier Tyler and Catherine Povinelli, to name but a few, really were the driving forces behind both shows. Q - Your Chicago public access channel show, "Revolution and Beer," has helped open up discussion on various issues. I saw in one video that state police forced you off a public sidewalk in June at the site of a GMO labeling hearing. Do you think that you convinced police of your rights? It is the pressure of people standing up for their rights that defends those rights. The first line of the Constitution and the phrase “insure domestic tranquility” could be used to negate the Bill of Rights. The key is in not convincing another of your rights but in being absolutely convinced they as much yours as the breath in your lungs. Q - Tell me about what you saw at the Pine Ridge reservation in the 1970s. Did what you witness there having a lasting impression on you? I was 13 at the time, stopping to see a school friend, Teddy WhiteEyes, who had moved back with his family before the so-called uprising. Even at that age I was never in doubt about respecting the human dignity and rights of others. Tensions were high, and we had to be escorted through the reservation by a car full of armed Lakota freedom fighters. I am pretty certain we were the only whites allowed, and with unquestioned hospitality. The conditions the Lakota and First Nation people lived under was heartbreaking and started my lifetime of activism towards positive progressive change for our nation and the world. Q - What are your hopes and concerns for this country? My concern is that we will lose hope, which is fundamental to any struggle. We are at a crossroads with regard to technology and its capacity to erode or erase our personal freedoms. I hope to help make Edward Snowden a little something of a folk hero as my small effort in encouraging others to come forward for those false secrecies that assail our freedoms and imperil the health of our participatory government. Q - You've worked on a variety of projects. Do you have any dream projects or collaborations? I would love to shake Edward Snowden’s hand and buy him a beer. Until then I look forward to getting back to writing, and have several novels and a 20 years research project on Roman history I would like to complete.